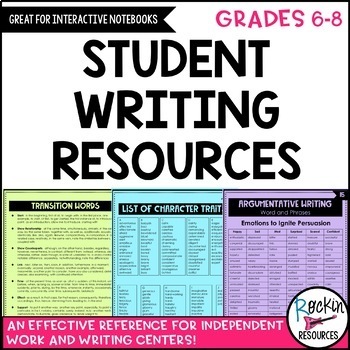 This reference guide is ideal for middle school students to use during independent writing assignments. 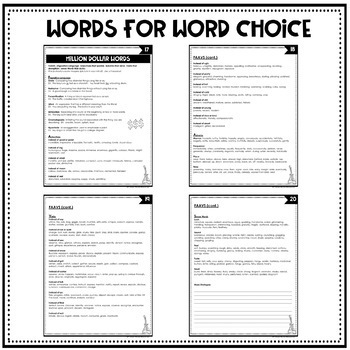 Whether it is class work, center work, writing workshop, or homework, it provides quality writing strategies and techniques. 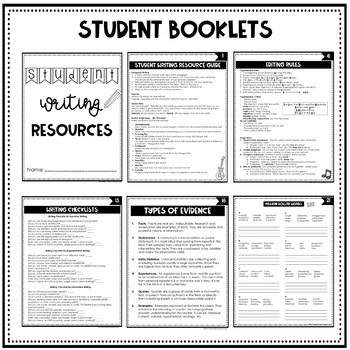 The pages can be placed in a folder, in a booklet, and/or displayed in a writing center. It helps eliminate questions and shows students ways to write effectively. 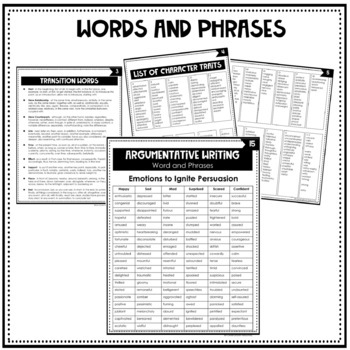 This resource is fully EDITABLE! ★ Million Dollar Dictionary- (3-pages)- There is room to write in more words too.